We need to hold dishonest billionaires accountable and tell the truth — we can afford National Improved Medicare for All (NIMA). The people are right. The billionaires are wrong. 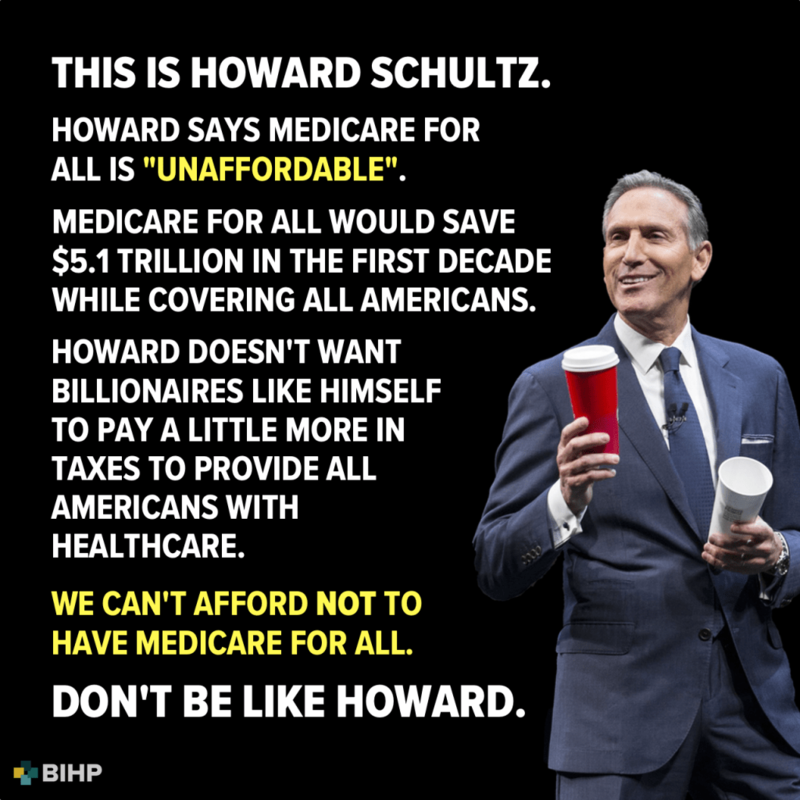 The three billionaires who are running for president put out false information on improved Medicare for all. This includes Donald Trump, Michael Bloomberg, and Howard Schultz. Bloomberg and Schultz need immediate attention because in the last few days they have been putting out the false claim that the US cannot afford Medicare for all when the facts are it will save trillions of dollars over the next decade compared to the current expensive and wasteful system. What we cannot afford is the current system. A study by Robert Pollin from PERI found NIMA would save more than $5 trillion in federal healthcare spending over a decade.